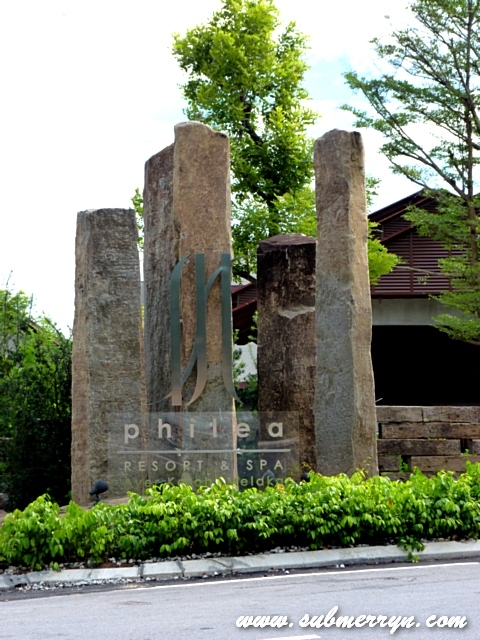 We spent an unforgettable weekend at Philea Resort & Spa, the largest and biggest log resort in Malaysia recently. Located in fast developing Ayer Keroh, Melaka and wholly owned by Majestic Hotels & Resorts Sdn Bhd; they invested RM140 million for a total of 15 acres of luxury living and relaxation. Our room is simply awesome. 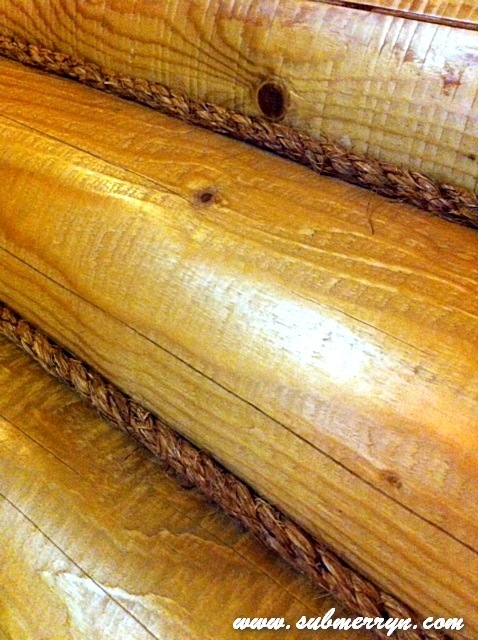 I stood at awe upon entering the rich, made of log room. 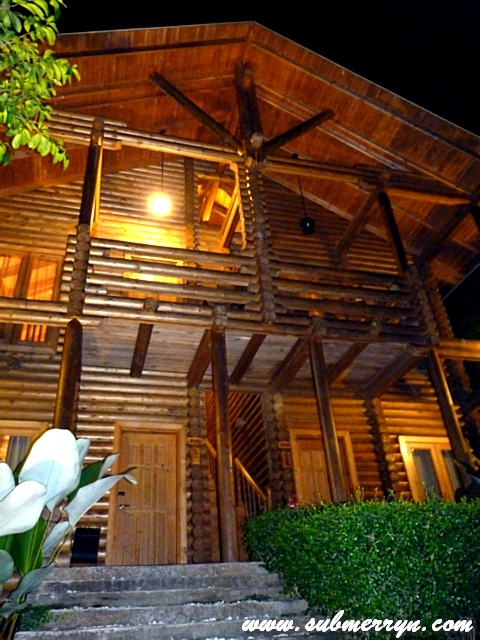 Philea was also awarded the ‘First Log Resort’ and the ‘Largest Log Resort’ by the Malaysia Book of Records. I super love the lemongrass bath gel and shampoo. and the bath salt too.. Being a city girl, my stay at Philea brought a sense of tranquility within me. I feel so at ease with nature. I hear waterfalls and birds chirping and calmness overwhelms me. It is such a welcoming change compared to the hustle and bustle of city life. Deluxe natural setting to soothe the eyes. It is very breezy here at the resort and I love it! 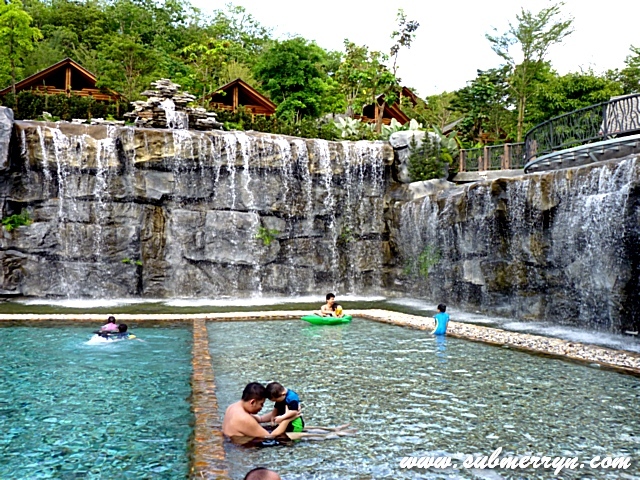 Man-made waterfalls surrounding the swimming pool. Heavenly.. I simply love the pool! It couldn’t be more stunning! Philea Resort & Spa at night time. 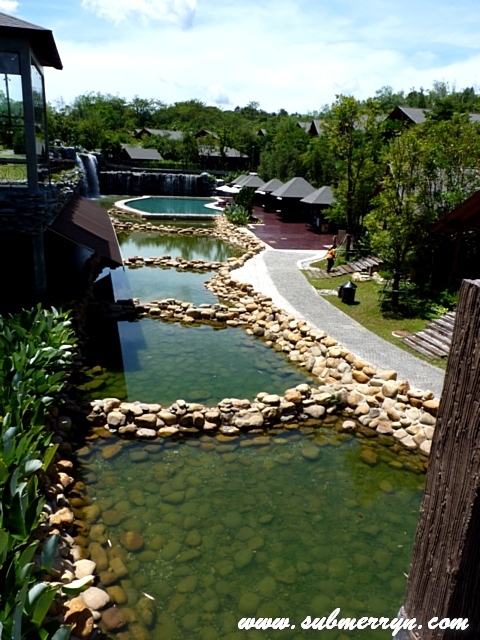 Philea Resort & Spa, Ayer Keroh, Melaka is currently having a Family Getaway Package. With just RM1,000nett for Pavilion Room and RM1,400nett for Philea Suite your family get to enjoy a 3D/2N accommodation with buffet breakfast at Nusantara, a picnic basket, tickets to the Malacca Butterfly & Reptile Sanctuary and more. Click here for full details. wow.. impressive! I m feeling so 'green' now.. hehehe..
Oh..this is the place u went..i m wondering if lots of nyamuk…LOL!! 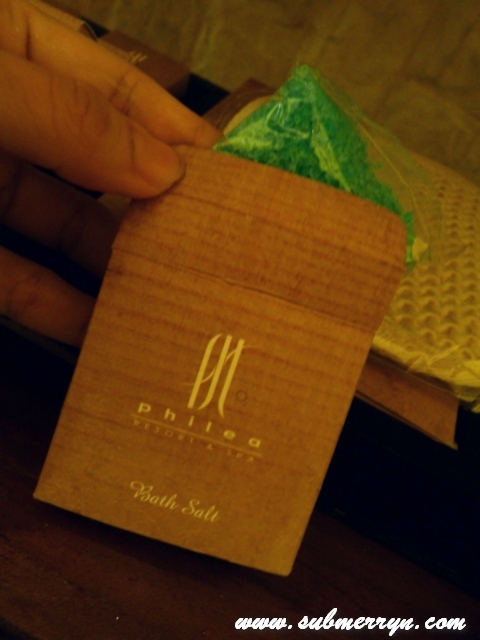 Aik…I didn't see the bath salt. I poured two bottles of the bath gel into the bath tub. Soaked myself and Jonathan to the fullest. 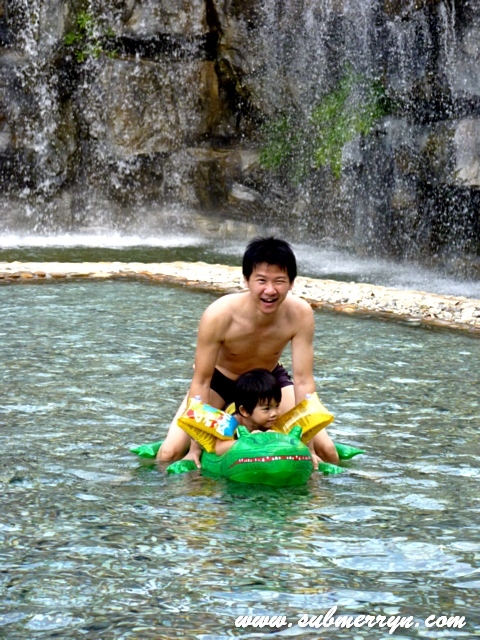 dint know Malaysia has this kind of resort!! Yee Ling – We went there with lots of mosquito repellent but surprisingly, we did not need to use ANY! Julie – You soaked with Jonathan? Poor Kimmy :P Too bad you missed the bath salt.. It was awesome! the pool view is AWESOME! 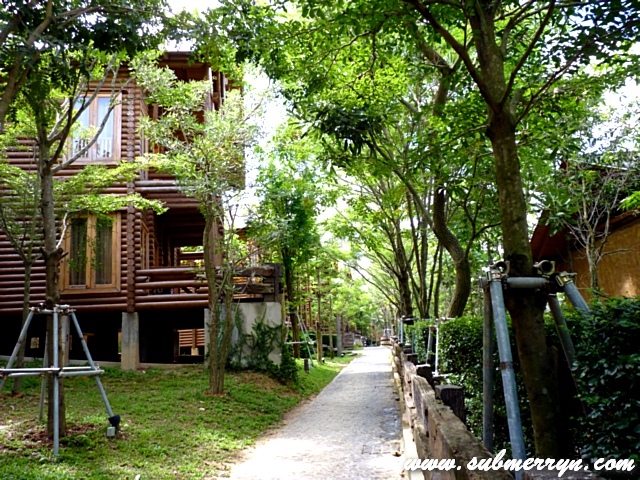 i should say, very nice and pricey resort le…. but i guess worth!!! Nice, it look so stunning same like those photos in their website. Love the shot 3 of you in the pool. You look sweet. fantastic place with a fantastic price to pay, one of the best in Malaysia. So very nice…but too bad old man cannot afford. If only they have really really special for warga emas! Wah, really nice place leh! Nice!!! No photo of you out of the water? @[email protected]!!! LOL!! !